Blueleaf is a provider of Financial Relationship Management Software. Blueleaf is an automated reporting and communications platform that is a comprehensive tool for advisors who want to report on the money they manage, the business they run and communicate with clients. It includes branded client updates and reports, performance reporting, account aggregation, billing and invoicing, and portfolio monitoring. I spoke to John Prendergast, cofounder, director, and CEO of Blueleaf, to learn how their platform increases the scalability and effectiveness of an advisor’s business. John Prendergast has a background in both direct financial services and software development. 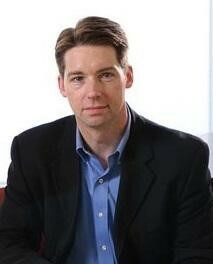 He received an undergraduate degree from Boston College in economics and computer science and an MBA in finance, technology, and marketing from Northwestern. His early career was spent at a series of startups where he worked primarily as a product manager. He also worked for a brief period as an advisor with Merrill Lynch and worked as an investment banker in mergers and acquisitions and corporate finance. During the 2008 financial crisis, John had an idea that would combine his experience in software product management and wealth management. He founded Blueleaf together with Chris Thorpe who became CTO. Wealth management software is usually described in terms of categories, such as customer relationship management (CRM) tools, rebalancing tools, reporting platforms etc. John explained that these traditional categories are changing in response to industry changes and Blueleaf is poised to lead these future categories. On its own reporting is passive—a tool advisors use to deliver static information to clients or themselves. CRM systems record various client activities after they happen. Neither of these systems drive behavior or directly communicate with clients. Blueleaf combines reporting and communication technologies, everything from email and SMS to client portals, with automation. The platform allows advisors to automate their communication with clients and reporting to themselves by offering different channels and frequency of communication. John believes that automation in FinTech should focus more on communication and client engagement, since the majority of an advisor’s time is spent on these two tasks rather than rebalancing and trading, which take up only 10–15% of an advisor’s time. In FinTech, the success of a platform hinges on its ability to balance integrations with in-house development of tools and solutions. John said that Blueleaf was built from the ground up with that principle in mind. Blueleaf was one of the first WealthTech companies to have an open API because, early on in the platform’s creation, John and his team realized that all-in-one solutions are mostly poorly executed. For analytics and reporting, Blueleaf partners with AdvisoryWorld, Everysk, HiddenLevers, Kwanti, and Riskalyze. Blueleaf has integrations with Grendel Online, Wealthbox, XLR8, Pareto Platform, EverFin, and Redtail for CRM. Integrations for financial planning include Advizr, inStream, MoneyGuidePro, and RightCapital. John noted that the list of partners and integrations is constantly evolving. John explained that Blueleaf is a software-as-a-service (SaaS) platform that is product-led, requiring product teams and engineering teams to work closely together. This is why the product lead and engineering lead are part of the management team. Apart from that, Blueleaf has sales, support, and success teams, which John described as the heart of the company. John’s experience in product management has driven one area in which Blueleaf has led the pack—smart product management. John highlighted that Blueleaf was built on a foundation of research-driven development. Whether it’s a feature extension or a new feature, it all begins with first-hand empirical research among both Blueleaf’s customers and noncustomers. The advisor’s job is to grow their own business, not focus on where the technology market is going or what they will need in the future. John and his team handles that by focusing on the problems and challenges advisors face rather than the feature requests they make. By understanding advisor challenges more deeply than anyone else in the market, we’re building a unique picture of the future of the marketplace. Educating software developers: What’s the right approach? There is a general consensus among top CEOs and CTOs that software developers should have at least basic knowledge of wealth management. John agrees, but noted that in his experience, hiring developers with too much WealthTech experience can be problematic. The Blueleaf team aims to innovate, and John has found that there are a lot of bad assumptions in the market. The conclusion is that a developer with extended experience may have to unlearn unfounded assumptions about the industry. And that can be difficult but we evaluate it on a case by case. Internal knowledge sharing and onboarding involves seminars, training sessions, and brown-bag lunches. When Blueleaf start a new project, they do a detailed business kick off with their engineering and product-management teams. Additionally, these teams work shoulder to shoulder on a daily basis, and product managers are able to show engineers what the business concerns are. The Blueleaf team utilizes a decentralized command approach, which implies a certain level of freedom for implementing processes and coming up with solutions to problems. Obviously, this freedom comes with guardrails, such as peer-reviewed code, and security and QA checks. John said that Blueleaf is an ever-evolving product that employs a modified agile methodology with continuous deployment. The platform started out as a monolithic application with a PostgreSQL database and evolved into a more distributed architecture that uses Amazon Web Services cloud computing and a modern front-end framework. The point of improving technologies and finding the optimal approach is to better serve customers. John noted that even though they are selling to larger and larger companies, they want to preserve the ability to serve the individual advisors they’ve always had as clients. Blueleaf is an innovative SaaS provider that has all the capabilities to scale and improve advisors’ workflows. Blueleaf is a fast-growing company with ambitious leaders, who are experts in both reporting and client management—and this expertise shines through in attracting new clients for Blueleaf’s own business. United Capital is a wealth counseling company that specializes in financial life management and investment management. Equity Advisor Solutions provides custody, technology and back-office solutions to RIA’s, Hybrids, TAMP’s and broker-dealers. Bristol Gate uses machine learning in combination with fundamental analysis to construct high dividend growth portfolios. Laserfiche is the private Enterprise Content Management (ECM) software development company. MacroRisk Analytics is a risk management platform that allows financial advisors to see the affect that the economy has on the price of assets in their clients’ portfolios. FinMason is the independent investment analytics engine for financial services platforms. Nest Wealth provides investment management services. PIEtech, Inc. develops financial planning software for financial advisors in financial services industry. It offers MoneyGuidePro, an Internet-based financial planning software.